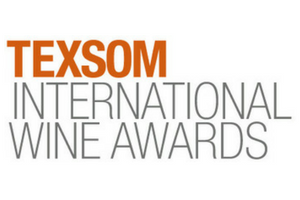 CENTRAL TEXAS, March 27, 2015 – The wineries of Texas Fine Wine brought home eight gold, six silver and four bronze medals for Texas appellation wines at the prestigious 2015 TEXSOM International Wine Awards. Presenting sponsor Texas Monthly also named nine “best in show” Texas wines from the competition, “representing Texas wine at the highest level.” Of these, four were Texas Fine Wine wines, including Bending Branch Winery Estate Tannat 2012, Brennan Vineyards Super Nero 2013, Duchman Family Winery Montepulciano Oswald Vineyard 2012, and Pedernales Cellars Texas Viognier 2014. “To have our wines compete and show so well at the TEXSOM competition, whose judges are some of the most experienced wine professionals in the country, further validates that Texas wines are well on their way to earning a place on the world wine stage,” says Fredrik Osterberg, president of Pedernales Cellars. Mediterranean varieties continue to offer the best expression of Texas terroir, with Tempranillo, Tannat, Nero d’Avola, Montepulciano, Vermentino and Viognier winning top honors. Texas wines made up 215 of the more than 3,600 entries, bringing home 157 medals, including 23 gold.